And, even though it’s almost never taught publicly… it’s been acknowledged by most of the best marketers on the planet as “the real secret weapon” behind their marketing success. And Clayton Makepeace, the highest paid advertising copywriter alive today, said, it’s from this one thing that accelerated growth in your business happens. Because, Todd Brown — the marketing authority the other experts go to when they need help with their own campaigns — is making it public. When you watch the video you’ll finally see what the biggest direct response companies include in all of their most successful marketing campaigns. And when you use this same “hack” in your own marketing… you’ll never struggle again to get your emails opened, get your ads clicked, and get leads into any campaign. Seriously. This is priceless stuff! 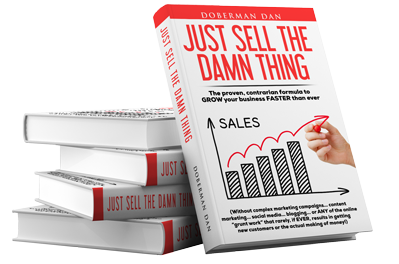 Previous post: Make millions from crappy marketing?